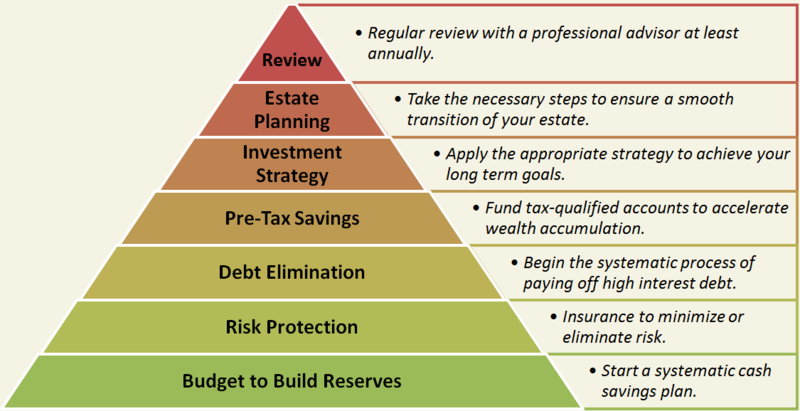 Let's Get Your Financial House in Order! Getting your financial house in order allows you to spend less time worrying about money and we would like to help you achieve that peace of mind. Our planning process is illustrated by the 7 key areas below. Please give us a call to discuss where you should get started.